Rapid City-"The Summer Playground of America"-was founded in 1876 by gold seekers, fueled by a rush to the Black Hills following the Custer Expedition of 1874. Merchants supplying the miners and military units patrolling the region were the ones who ultimately prospered, however. When the railroad arrived a decade later, cattlemen replaced the prospectors, and Rapid City remained a hub of activity. By the end of World War I, the popularity of the automobile and newly constructed roads helped to shape area tourism. Mount Rushmore, 23 miles distant, was under construction in 1927, and the new Alex Johnson Hotel was completed in 1928. Together, they were natural draws to complement the pine-scented beauty surrounding Rapid City, making it the center of Western hospitality. On June 9, 1972, a flood roared through the heart of the community, taking 238 lives. By the end of the decade, many new civic improvements began to change the face of Rapid City again. 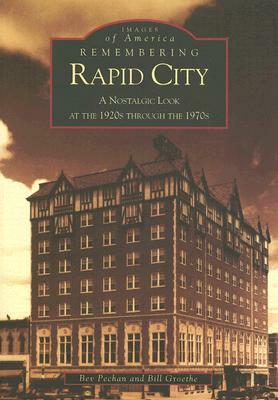 With this growth, Rapid City retains its early charm as the "gate city" of the Black Hills.